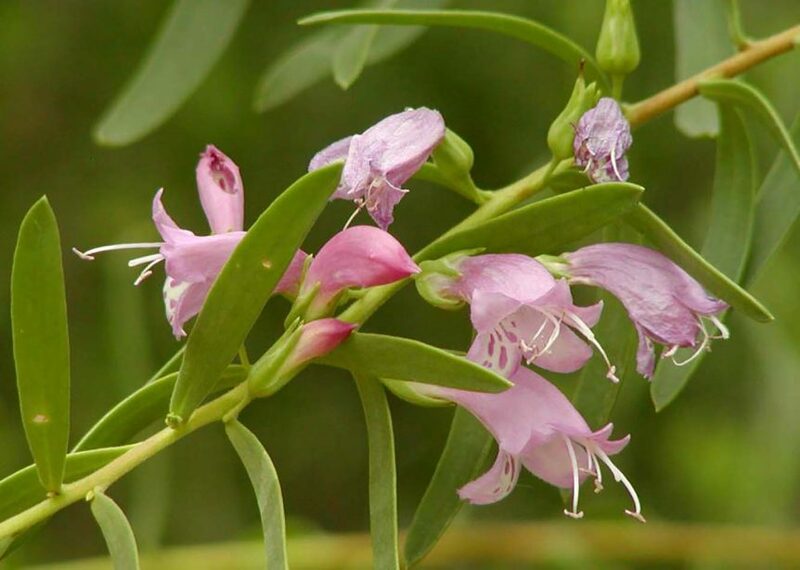 Eremophila, commonly known as emu bush, produce somewhat unusual flowers that often have spotted petals and are in bright colours. They prefer well-drained situations, although they are tolerant of a wide range of situations. Some varieties are available as grafted specimens, as these varieties, as with some varieties of gum trees, are more intolerant of humid conditions. Grafting of Eremophila wood onto myoporum stock has also led to the availability of some less-common varieties that have been difficult to propagate from cutting materials. Some eremophilas have grey foliage which contrasts well with the orange or blue flowers. 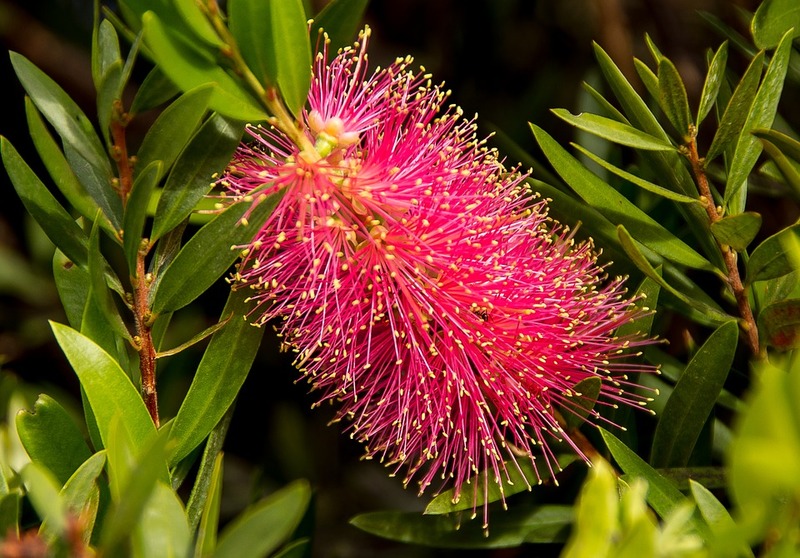 Callistemon Pink Champagne grows into a dense shrub about two metres tall, with stiff, aromatic leaves and large, deep pink brushes. The flowers fade as they age so that at any given time the plants carry brushes of various shades of pink. Honeyeaters are attracted to the flowers. 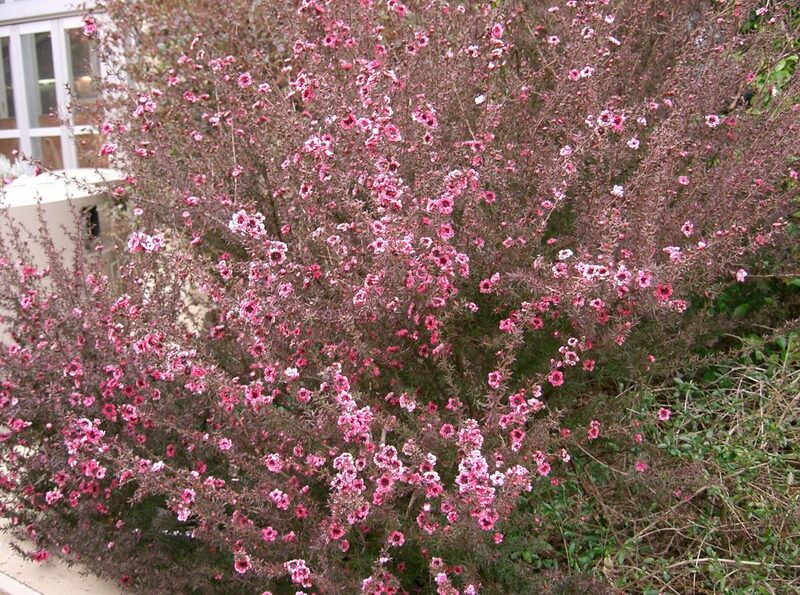 Pink Champagne is a hardy and colourful plant suitable for shrubberies. Kangaroo paws (anigozanthus) grow naturally in the western areas of Australia, preferring a drier summer. However, the newer varieties are more tolerant of humidity and are available in differing heights ranging from small plants which are ideal for garden borders or pot culture, through to much taller varieties. Westringia Jervis Bay is a very hardy and adaptable shrub. It forms a rounded shrub 1-1.2m tall by 1-1.5m wide. Plants prefer full sun to part shade. In addition to being a most useful plant in a native plant garden, Westringia Jervis Bay is also most suitable for formal gardens as it can be pruned into shapes and low hedges. Other plants that would create most effective displays include; Acacia Limelight, which produces lush green foliage, with a compact growth habit, is very suitable for use in small gardens, patios and courtyards, in gardens that feature native, exotic, oriental or tropical styles; and Leptospermum Copper Glow, which is a rounded shrub that may reach a height of three metres. The stems are reddish and the leaves are small, copper coloured and narrowly elliptical. Flowers are rather small and white. Native violet, Viola hederacea, displays small white and violet flowers on stems to 15cm for most of the year. It is a ground cover forming mats to around 50cm wide and likes damp areas and shady situations though it will tolerate full sun. Native violet is a very hardy perennial that can be used in hanging baskets and containers. It is important to observe plants closely at this time in order to notice any signs of stress from a lack of water, because a lack of water can also lead to nutrient deficiencies in plants. This may lead to plants being unable to utilize available water, chlorophyll and other elements efficiently, as sap flow can be affected. Deficiencies in boron, magnesium and potassium are the most common. Boron deficiency is common in many areas of Australia, particularly in coastal areas. Vegetables that have been grown intensively in soils lacking in compost may also suffer. A mixture of 4 grams of borax powder in 4.5 litres of water will treat about 4 square metres of garden area. This application will remain effective for several years. Mottling of leaves may be an indication of magnesium deficiency. Gardenias, rhododendrons, azaleas, camellias, roses and citrus may all be subject to this problem. A mixture of Epson salts in water will rectify the problem. Magnesium is important for plants as it is necessary for chlorophyll production. A deficiency in potassium will affect the flow of sap in a plant, as well as the formation and flavour of fruit. A soluble form of potash, mixed with water at the recommended rate, applied several times during the year will correct this problem.